In 1981, the Who released their album 'Face dances'. It was their first album since the death of drummer Keith Moon, who was replaced on this album by Kenney Jones. 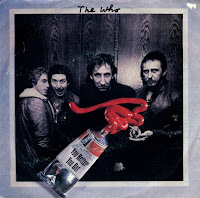 The song 'You better you bet', written by Pete Townshend, was taken from the album as the first single. It became the last single by the Who that reached the top 20 on the US Billboard Hot 100, reaching number 18, and the last top 10 hit the UK, where it peaked at number 9. In the Netherlands, it was the band's last hit, also peaking at number 9. I hated the song 28 years ago, but now I really like it! Times have changed.